We design, assemble/manufacture, program and install DC and AC variable speed drive-motor control systems, including PLC's and HMI's. Welcome to Industrial Drive Service Inc. Whether you have a full design and drawings, or nothing but a concept or idea on post-it notes, IDS can help you with any cable assemblies or wire harnesses. IDS is able to design & manufacture custom cable assemblies and wire harnesses to suit your requirements. Please take a minute to complete our customer service survey. Industrial Drive Service (IDS) Inc. was established in 1988. The focus of the business is the sale and service of AC and DC variable speed motor controls, soft starters, frequency drives and servo drives. 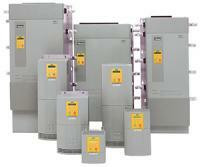 In addition to this IDS manufactures custom control systems, including PLC's and HMI's. In August 2015 Daryl Keys, president of Industrial Drive Service acquired power factor and power quality correction company Cos Phi from founder and owner Mr. Peter Kratochvil whom will remain with the company during a transition phase. 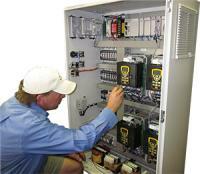 Cos Phi specializes in the design, manufacture and application of power factor and power quality electrical equipment.